A general, non-powerplant specific, discussion on airboat technology, ie., hulls, rigging, polymer, etc..
Just got done replacing 3x worn out tires on my trailer. Figured I would show my method for breaking the bead. I have an air compressor powered, Venturi style air conditioning vacuum pump. For $30 it works great for Auto AC work, but I also use it to break the beads on my tires. It works particularly well for my buggy tractor tires. 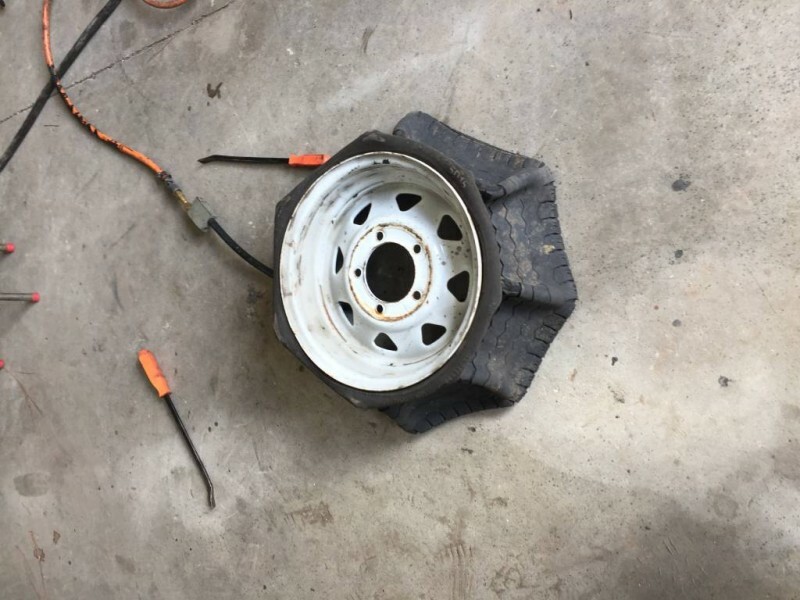 Of course it won't work if there is a hole in the tire. The vacuum won't pull the tire off the bead, but it works with the tire tools to make the job way easier. I start on one side and work the bead most of the way off, but keep the seal. Then work the other side off. If the first side falls off the bead it is easier to blow the tire back on to work on the other side.